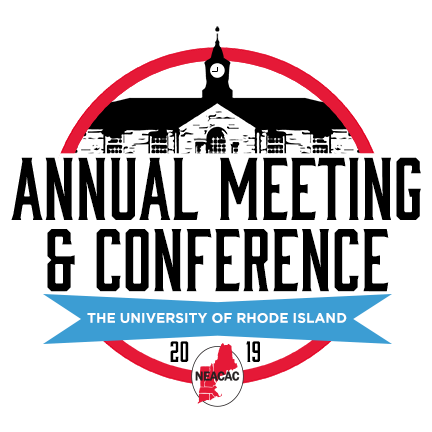 The 2019 Annual Meeting & Conference will be held at The University of Rhode Island between May 29-31. We are excited to welcome you to the smallest state as we bring the conference back “home” after a successful Super Conference with New York State ACAC in 2018. More information regarding the conference will be posted throughout the year on this website under conferences & workshops. We encourage you to reach out with questions and plan to see you in Rhode Island. Past Annual Meeting & Conference host sites are listed here.